The Muhraka is located on the southern slope of Mount Carmel, near the Druze village of Daliyat el-Carmel. The word Muhraka means “The place of burning”. Tradition has it that this was the very Biblical site where the prophet Elijah fought the prophets of Baal (1 Kings 18:16-45). 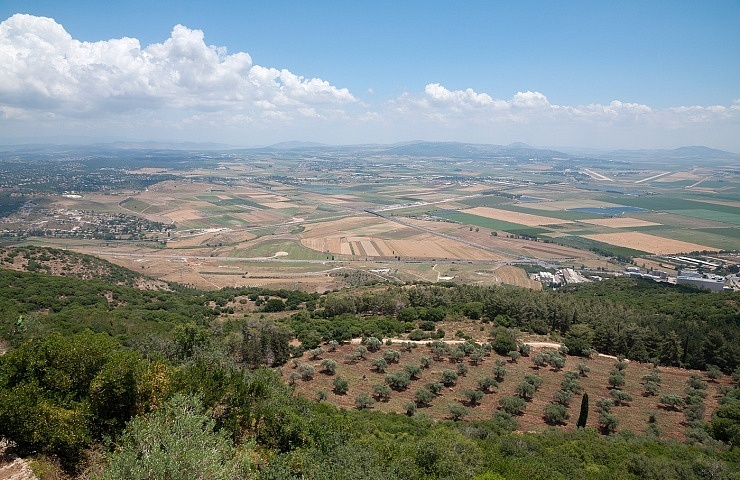 According to the Jewish Bible, Elijah approaches and leaves the mountain into the Jezreel valley and indeed the scenery from this point is breathtaking; all over the Jezreel valley. There is also a spring of water, attesting to the biblical story according to which prophet Elijah had repeatedly poured water on the altar of sacrifice, even though it was a time of heavy drought. Nowadays a Carmelite monastery resides at this point, commemorating the Biblical story as well as its ending, at which Elijah slaughtered the prophets of Baal -at that site- immediately after his victory.